It is clear to see that Louis van Gaal likes to play possession football. For the first few months, while his methods were being instilled, Manchester United had a lot of the ball but did very little with it in an attacking sense, which lead many Manchester United fans and critics to wonder where this was all going. But, over the last few months, we have seen a big step forward in the effectiveness of the play with Manchester United now penetrating as well as keeping the ball for much of the game. And possession was always the problem when Manchester United came up against the great Barcelona teams in those two Champions League finals a few years back. 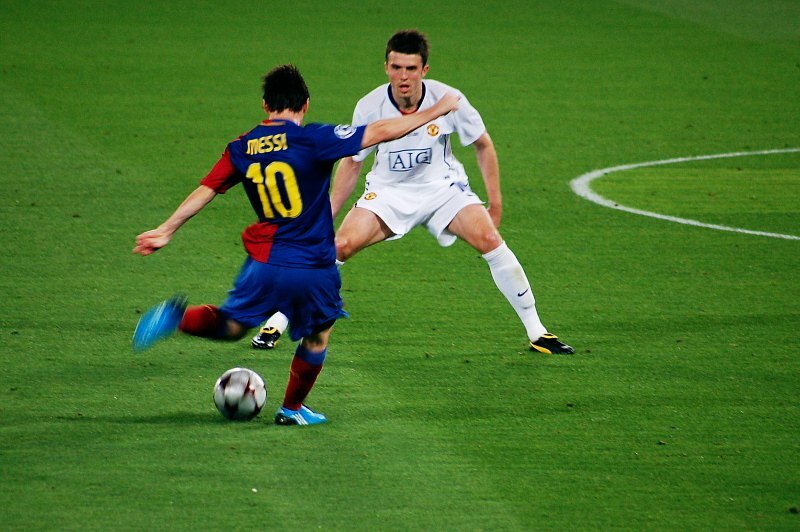 In 2009 and 2011, Manchester United took on Barcelona in The Champions League Final. And both games were pretty boring for United fans as their team simply couldn’t get the ball. And, what’s more, when they did get it they couldn’t hold on to possession for any period of time. We believe that Manchester United have already been extremely well served by Louis van Gaal and his philosophy is just starting to pay dividends. And, with this brand of possession football that Manchester United are now playing, we feel that they will be much better equipped to take on a team that they haven’t been able to get near since they squeezed through a semi-final against Barca (another backs to the wall affair) in their triumphant season of 2008. Building slowly from the back and retaining the ball with real care, Barcelona would press United high up the park – but that’s where this team has really excelled of late. They don’t have great pace but they do have real accuracy in their passing which allows them to get behind defences and hit them on the break brilliantly. With The Champions League now looming on the horizon again there is a very real prospect of United taking on Barcelona once more. With Louis van Gaal in charge we feel that this time they might make a bit more of a fist out of the fixture. Manchester United fans: does United’s current style better suit The Champions League? Manchester United: Has Herrera’s Tweet lifted the lid on De Gea future?